Uh oh. 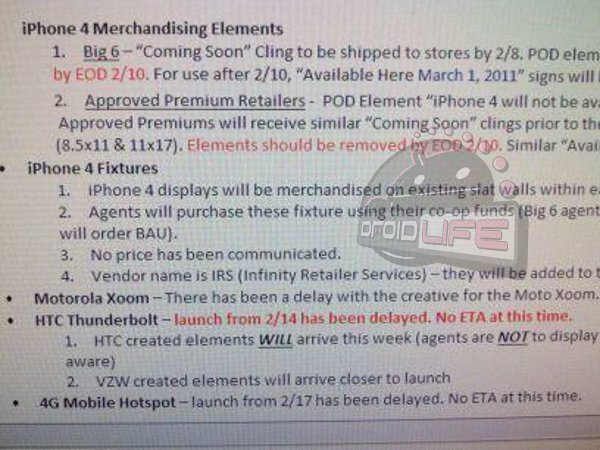 Has the HTC Thunderbolt been delayed? According to this news we just received from some friends of ours, it has. The really troubling part is the “No ETA at this time” note, but we’re hoping it won’t be delayed for long especially with all of the marketing materials for the device arriving on time. I guess now we know why VZW sent out this interesting little tweet yesterday morning. Could this delay have something to do with the fact that 4G mobile hotspot won’t be working? We reported on the absence of mobile hotspot on the TBolt numerous times, but were told it had been cleared up and would be ready for launch. Maybe we’re back to that February 24th date? Oh, and we’re trying to ignore the part about the delay of the XOOM’s creative and assume it’s on track. Note: Amazon has also removed the 2/14 date from their listing.